Beacon Hill is a longstanding neighborhood of southeastern Seattle. It is adjacent to I-5, the communities of Columbia City, Hillman City, New Holly, and Georgetown, and offers views of Elliott Bay, downtown, and Mt. Rainier and Olympic Mountains on clear days. The northern section of Beacon Hill is a bit busier, featuring more business and shops, while the southern end is more residential. Many homes for sale in Beacon Hill are craftsman and box style houses built in the early 1900s. Jefferson Park offers playgrounds, tennis courts, golf, and walking trails. 4 Beds | 2.5 Baths | 2180 sq. Ft.
4 Beds | 4 Baths | 3249 sq. Ft.
4 Beds | 3 Baths | 2400 sq. Ft.
3 Beds | 3.25 Baths | 1460 sq. Ft.
4 Beds | 1 Baths | 1380 sq. Ft.
2 Beds | 1.25 Baths | 1216 sq. Ft.
2 Beds | 1.25 Baths | 1269 sq. Ft.
3 Beds | 2.5 Baths | 2070 sq. Ft.
4 Beds | 2.5 Baths | 2690 sq. Ft.
4 Beds | 1.75 Baths | 1440 sq. Ft.
3 Beds | 2 Baths | 2940 sq. Ft.
3 Beds | 2 Baths | 1480 sq. 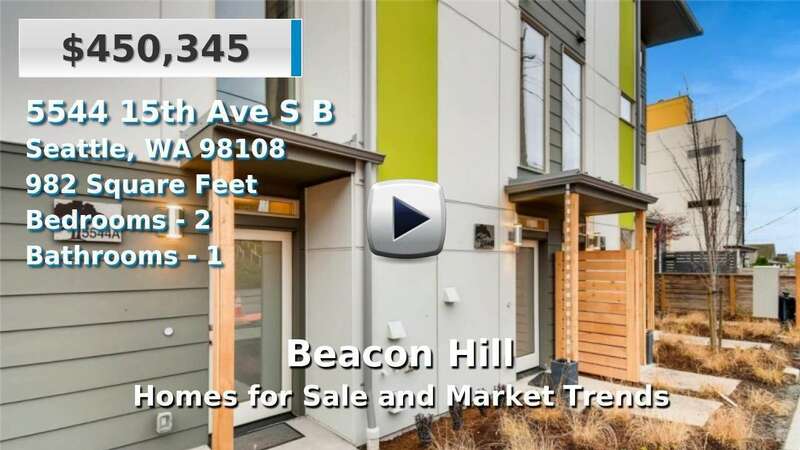 Ft.
Blue Summit Realty has the most accurate and up to date Beacon Hill real estate listings on the web. Currently there are 39 homes for sale, 7 condos for sale, and 12 vacant land properties in Beacon Hill. Of the 58 total Beacon Hill residential listings for sale 0 are bank owned, 0 are short sales, 0 are new construction, and 0 are townhomes. The price ranges from $220,000 to $0 with a median list price of $602,183 and median sold price of $632,926. Make sure to refine your Beacon Hill real estate search by property type, price, square footage, bedrooms, bathrooms and more with the search tool above or view the Beacon Hill listings on our interactive map. Our Beacon Hill real estate listings were updated 2 minutes ago.